Even more excellent Witcher 3: Wild Hunt Ciri cosplay has emerged, with a new take from Polish model Agnieszka Malocha. Shared by the official Witcher Facebook account, the images below come from Polish beauty and makeup artist Marzena Rygielska, who works for Catmeleon Studio. Take a look. 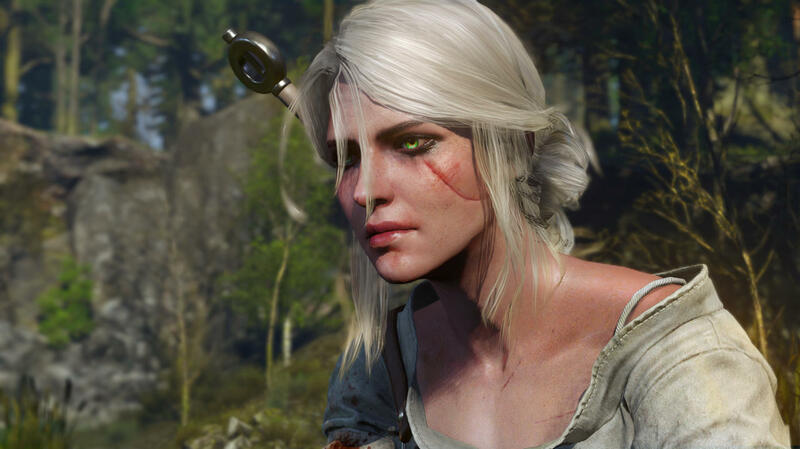 For the sake of comparison, below is the Ciri character model from The Witcher 3. You’ll notice that Malocha’s version is pretty spot-on, nailing the outfit and makeup (including the signature scar). This isn’t the first Ciri cosplay we’ve seen. Before The Witcher 3 even launched, someone dressed up as the white-haired character–and that cosplay, too, was so good that it caught CD Projekt Red’s attention. Looking for more Witcher cosplay? Check out this gender-bending “Geraltina” cosplay. The Witcher 3 was released in May 2015 and was one of the most celebrated launches of the year. It’s gone on to sell more than 6 million copies (as of August 2015) and took home the overall Game of the Year award at The Game Awards in December. It’s up for the same high honor at the Game Developers Choice and D.I.C.E. Awards later this year. CD Projekt Red isn’t done support The Witcher 3 yet, as the second of two planned paid expansions, Blood and Wine, is set to launch later this year. According to CD Projekt Red, it’s “more refined” than the main game. Tagged Amazing, Check, Ciri, Cosplay, Preview, This, Witcher.